Anabolic steroids are banned in most places and are often illegal to own without a prescription. To avoid this animosity, athletes and bodybuilders the world over are turning to safer, legal alternatives that won’t do the same long-term damage to the body. 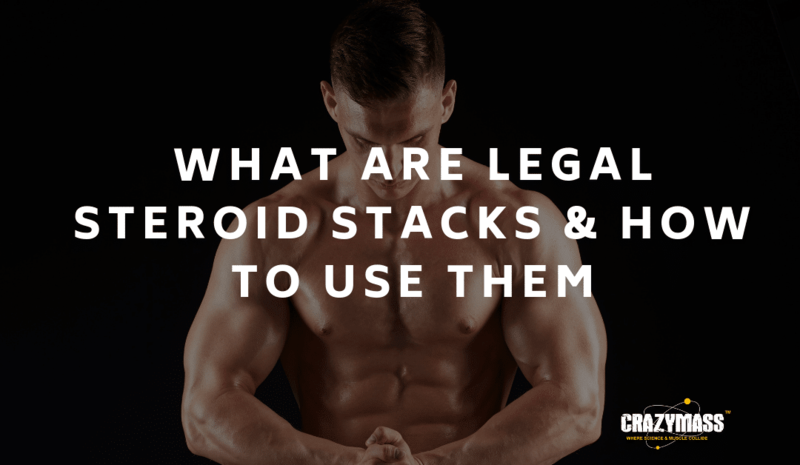 Enter the Legal Steroid Stack – an alternative that does the same job with minimal risks. 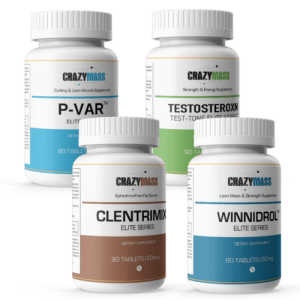 Get the gains you want without the health risk by learning how to use these boosters with CrazyMass. Steroids all tend to be geared towards doing a single specific job, or towards only having one result. When you take steroids as part of your training regimen, you take them in cycles to minimize the harsh effects on the body. When you want to take more than one steroid during a single cycle, we call this stacking. It isn’t always safe unless you know what you are doing, follow the instructions and regularly get blood work is done, which is why modern-day professionals opt for something a little less dangerous. As older steroids began to be phased out, scientists turned to new things. They concocted a series of lab-grown alternative supplements that don’t mean you suffer the same side effects as steroid use. These supplements are a lot less harsh on the body and can even bring you the same muscle growth, definition, and toning that you want to achieve. Read more about bulking stacks for building muscle. Is fairly easy to get a handle on. This process relies on introducing more than one legal and safe alternative to steroids that you can stack on top of one another without doing your body any damage. The safest way to work out what products to combine to complement each other and to get the most gains is to buy these products as one cohesive stack bundle. This way you know that everything has been efficiently laboratory tested to make sure the conjunction of products won’t harm you. More often than not when you buy bulk like this, you negate the need to research each product to find out when and how to take it. These stacks come together with specific instructions written on the packaging to make sure you don’t take the wrong drug at the wrong point in your cycle, thereby making sure you never get thrown off track by your supplements. Just because these are safe alternatives doesn’t mean you should stack them relentlessly with other products you haven’t researched, If you are going to buy individual bulking supplements, cutting supplements, strength and endurance supplements, etc. then be sure that the chemical compounds won’t have an adverse reaction. Remember: the professional bodybuilding world is just as full of doctors as it is full of athletes, and they are there to constantly monitor their patient’s intake of such drugs. If you don’t have that luxury, then you need to be extra careful. 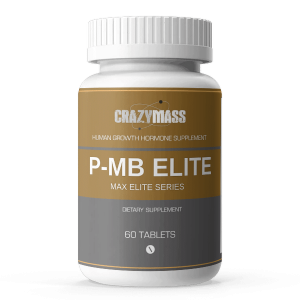 If you are interested in learning more, you may want to bookmark our blog page over at CrazyMass HQ to keep up-to-date with all our latest hints and tips to getting the body you want. We also sell a variety of safe and compatible legal steroid stacks that will help you on your journey towards a better you. 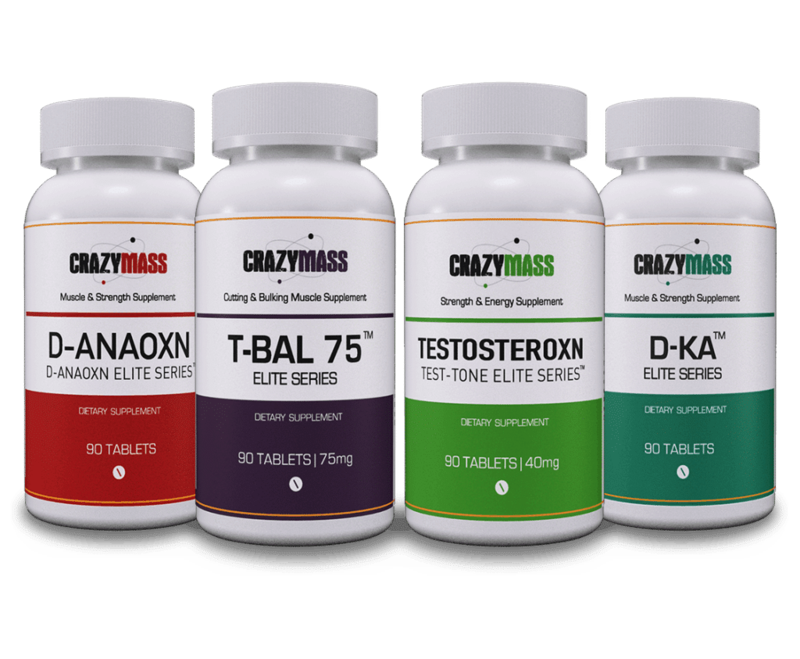 When you need supplements, don’t turn to the illegal stuff, make it CrazyMass, where you can “Build Crazy Mass, Crazy Fast” with legal steroid alternatives that work!